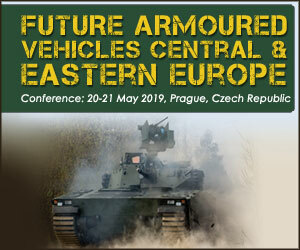 LONDON, UNITED KINGDOM, February 13, 2019 /EINPresswire.com/ -- The Future Armoured Vehicles Central and Eastern Europe (FAVCEE)1 conference will return to Prague, Czech Republic on Monday 20th and Tuesday 21st May 2019. FAVCEE 2019 will be looking to build on last year’s success with a more expansive and focused agenda. In addition, delegates at the conference will gain a detailed insight into the Czech Armed Forces’ modernization and procurement plans pertaining to its 8x8, main battle tank, and IFV replacement.